Annoyed by those disgusting looking flakes on your pretty black dress? Crush the neem leaves to a powder. Mix the powder and olive oil in a bowl. Leave it on for about an hour. Then, wash your hair with shampoo and apply conditioner. This method requires only neem leaves. Boil neem leaves for about half an hour. Make a paste and apply it to your scalp. You can apply the paste on your scalp in the morning, before having a bath. Or, you could even use it at night, and shampoo your hair in the morning. Neem leaves (especially their extracts) have excellent antifungal properties that can be used in the treatment of dandruff (2). They also have antibacterial and anti-inflammatory properties (3). Your scalp might itch when you apply the paste. This sensation is normal, and there is no need to worry about it. Mix the ingredients in a bowl to get a paste of medium consistency. In case the paste is still runny, you can add a little more of yogurt or honey to thicken it. Apply the paste to your scalp and gently massage it. Rub it from the roots to the tips of your hair. Once done, pat your hair dry with a soft towel and apply a few drops of coconut oil to your hair and scalp. In the morning, before bath. Coconut helps in preserving the hair’s natural proteins and is also known to eliminate dandruff (4). According to an Italian study, honey is a suitable ingredient for treating dandruff, owing to its antimicrobial properties (5). Remember not to rinse your hair with shampoo more than twice. Doing it more than twice can strip your scalp of the moisture provided by the mask. Crush the aspirin tablets and add the powder to a bowl. Shampoo as usual using this mixture. Leave the shampoo on your hair for two minutes, after which you can rinse with water. In the morning, while having a bath. 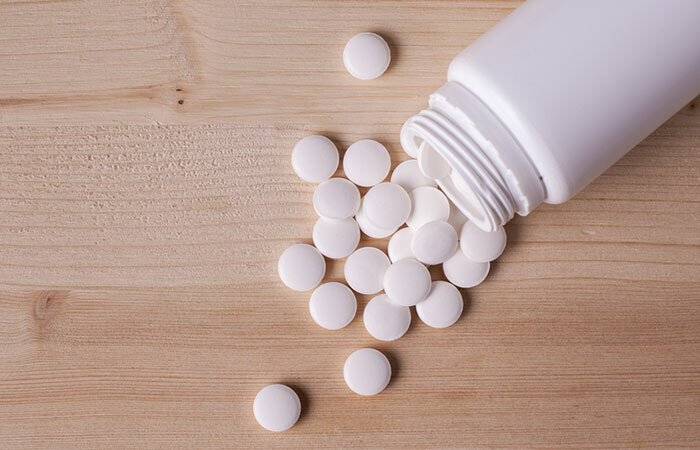 Aspirin contains salicylates that exfoliate the scalp and help treat dandruff (6). Mix the ingredients in a bowl and apply the paste to your scalp. Leave it as it is for about 10 minutes, or until the scalp starts to itch. You can use apple cider vinegar as a conditioner. In the morning, before taking a bath. Baking soda works by reducing the overactive fungi that are responsible for dandruff (7). Mix the mouthwash with water in a bowl. Wash your hair with regular shampoo. Then, rinse your hair with the mouthwash mixture. You can leave the mixture as it is and style your hair as you normally do. 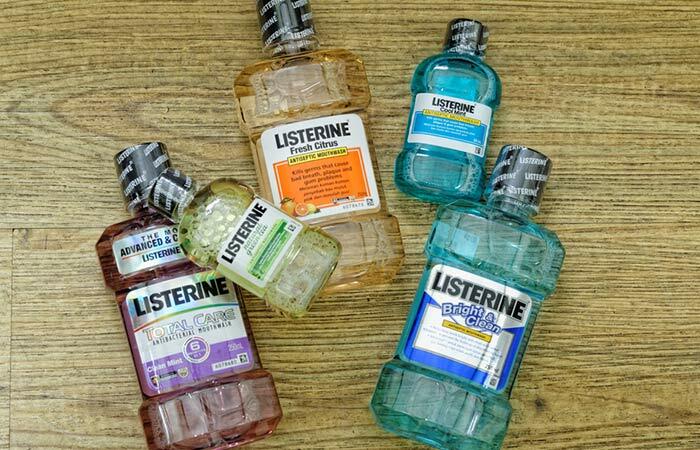 Listerine mouthwash possesses antifungal properties that fight the dandruff-causing yeast and prevent its growth (8). Peel the banana and put it in a tumbler. To this, add the apple cider vinegar. Stir thoroughly till you get a smooth paste. Apply the mixture to your hair. Massage the mixture into your scalp and ensure it completely covers your hair. Leave it on for about 20 minutes, after which you can rinse your hair completely with water. In the morning, every day for a week. Post that, you can follow this remedy once every week. Bananas are excellent sources of B vitamins – the nutrients that improve circulation and keep your skin healthy. Apple cider vinegar is a known fungicide and germ killer, and it helps treat dandruff (9). In the morning, while taking a bath. The yeast within our bodies triggers inflammation. This results in the build-up of yeast on the skin. Boosting the friendly bacteria inside our digestive systems can reduce the yeast within our bodies. 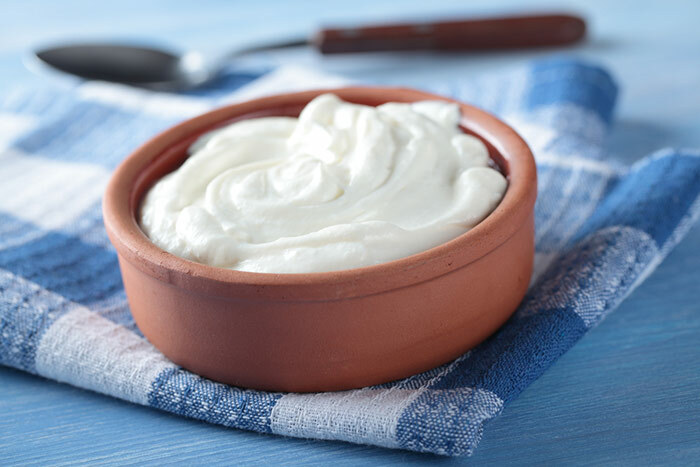 Yogurt is one of the best sources of friendly bacteria, and it prevents scaling of the scalp. 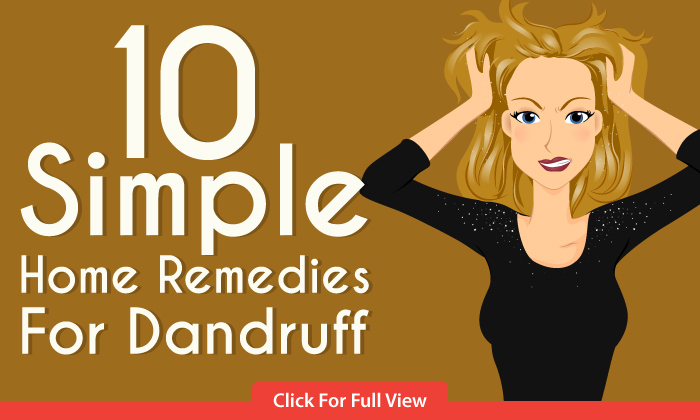 Since it is a good source of probiotics, it could be one of the ideal remedies for dandruff (10). You can add two spoons of freshly ground black pepper to the yogurt. Pepper has antifungal properties (11). Ensure that you use fresh yogurt and pepper. Otherwise, you might not get the desired results. Mix the Fuller’s earth with enough water till you get a smooth paste. Add the lemon juice. In the morning, before you take a bath. Fuller’s earth absorbs the oil, grease, and dirt – all of which cause dandruff. It also improves blood circulation to the scalp, thereby keeping it clean and dandruff-free (12). Put the orange peels and lemon juice into a food processor. Blend the ingredients till you get a smooth paste. Gently apply the paste to your scalp and leave it on for about 30 minutes. Post that, rinse it off with your usual shampoo. In the morning, while you have a bath. You can follow this remedy twice to thrice every week. 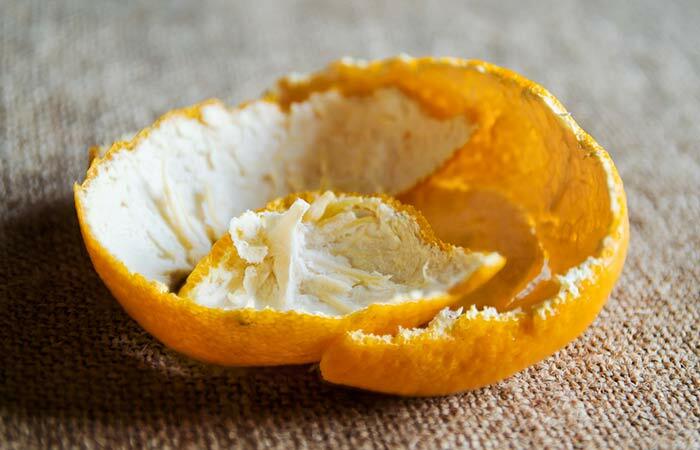 The orange peel has acidic properties that help reduce excess oil and condition the scalp (13). This eventually helps treat dandruff. Squeeze the lemon into the curd and mix well. Apply the mixture to your hair. You can use the lemon peel for this purpose. You can also massage your scalp with the inside of the lemon peel. Leave the mixture on for about 10 minutes. Wash your hair as usual with shampoo. In the morning, while taking a bath. You can repeat this remedy three to four times a week. As we know, lemon juice is rich in citric acid, which plays a major role in eliminating dandruff from the roots of the hair. It is also antimicrobial in nature (14). Don’t forget to shampoo your hair after this remedy as curd has a tendency to leave a very undesirable odor. Wet your hair, and rub the baking soda into your hair and scalp. Leave it on for a minute, and then wash your hair thoroughly with water. You could also mix it with your shampoo and use it to wash your hair. In the morning, while taking a bath. Do this twice a week. The baking soda scrub is a mild exfoliant that helps remove dead skin. It reduces excess oil on the scalp (another reason for dandruff) (15). Though your hair might get dried initially, within two weeks, your scalp will start producing natural oils to combat the dryness. 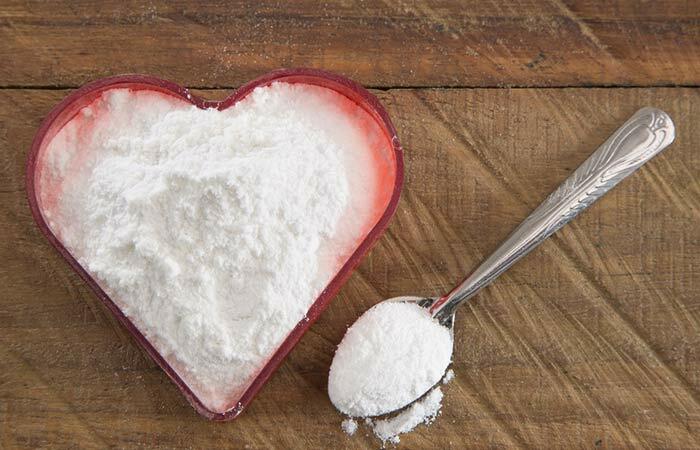 Baking soda is also known to reduce the overactive fungi that can cause dandruff. Remember not to leave baking soda on your hair for a long time. Doing so might dry out your hair. 1. Simply wash your hair with shampoo and let your hair dry completely. Do not use a conditioner. 2. Apply the coconut oil directly to your scalp and leave it on for a few minutes. 3. Wash your hair thoroughly with water. In the morning, after taking a bath. Try this remedy once a week till your dandruff is gone. Coconut oil penetrates deep into the epidermis and works from within. It contains medium-chain fatty acids, which have regenerative properties that can help treat dandruff (16). Wash your hair as usual, and then pour the vinegar-water mixture onto your hair and scrub it into your scalp. Leave it on for about 15 minutes, and then wash it off with water. In the morning, while taking a bath. You can repeat the remedy daily for about a week. The acidity of apple cider vinegar changes the pH levels of your scalp, thereby hampering the growth of yeast (17). Ensure the mixture doesn’t get into your eyes. Also, any unhealed scratch or scab might burn when you use this remedy. In that case, rinse the affected area thoroughly with water. Take a little amount of shampoo in a cup, and add a few drops of tea tree oil to it. Mix well and rub the shampoo-oil mixture into your scalp. Rinse it out after five minutes. In the morning, while bathing. You can repeat this remedy once a day every day for about a week. Different studies have supported the efficacy of tea tree oil shampoo in treating dandruff (18). Tea tree oil has excellent anti-inflammatory properties and a higher rate of dermal penetration, which makes it one of the best remedies for dandruff (19). 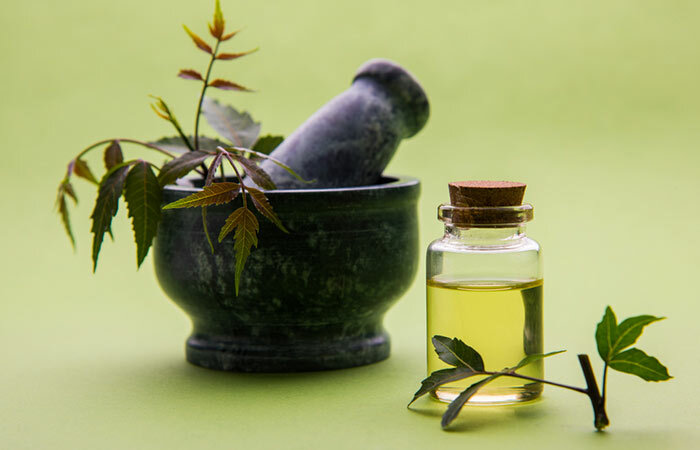 Tea tree oil originates from an Australian tree and is known for its antifungal properties. In one study, participants who used five percent tea tree oil shampoo for four weeks saw a 41 percent reduction in dandruff, whereas those who used shampoo alone showed an 11 percent reduction (20). 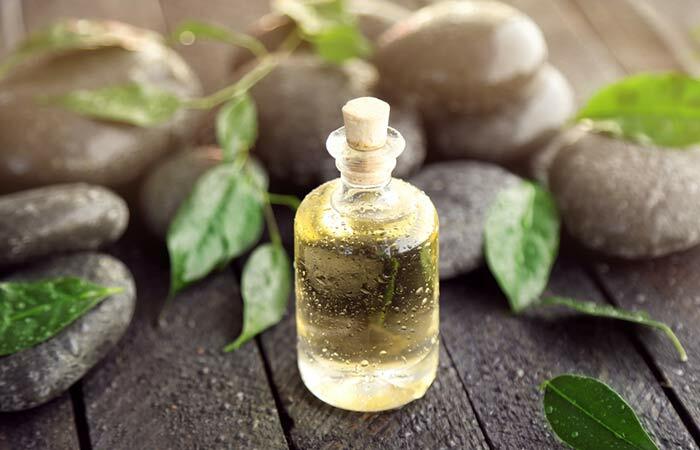 Tea tree oil has also been found to work as an antiseptic. Mix the ingredients in a bowl, and rub the mixture into your scalp. Wash your hair with a mild shampoo and rinse with warm water. Mix the same quantities of the oils in two cups of water, and use this solution as a final rinse. Cedarwood oil has anti-seborrheic properties that treat dandruff and other inflammatory scalp conditions (21). Crush the fenugreek seeds with a pestle. Take two cups of hot water and soak the seeds in the water overnight. Strain the mixture, and use the water to rinse your hair in the morning. 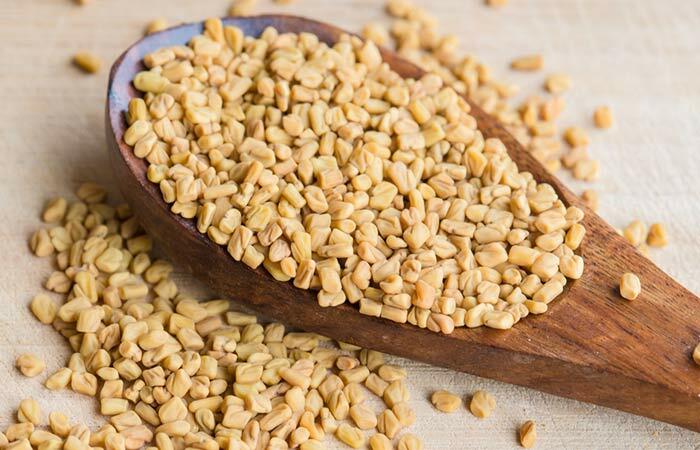 The presence of several vitamins and minerals makes fenugreek seeds one of the ideal home remedies for dandruff (22). Mix the yolks of the eggs in a bowl. Ensure your hair is dry. Then, apply the yolk to the scalp. Once done, cover your hair with a plastic bag and keep it on for about an hour. Wash your hair thoroughly with a good shampoo. You might need to wash your hair twice to remove the odor. Biotin is one of those vitamins that can help treat dandruff (23). Egg yolks, being great sources of biotin, can be a great remedy in this case. They also condition your hair and make it healthier (24). Apply the olive oil to your scalp. Do this about 10 minutes before you wash your hair. Post that, you can wash your hair normally with shampoo. You can also apply olive oil before going to bed. Wrap your head in a towel to absorb the extra oil. You can wash your hair as usual in the morning. There are two ways in which olive oil can cure dandruff. One, olive oil moisturizes the dry areas of the scalp and prevents them from flaking. A little amount of olive oil can help loosen those stubborn dandruff scales (25). They will eventually fall off your scalp, leaving it healthy and rejuvenated. 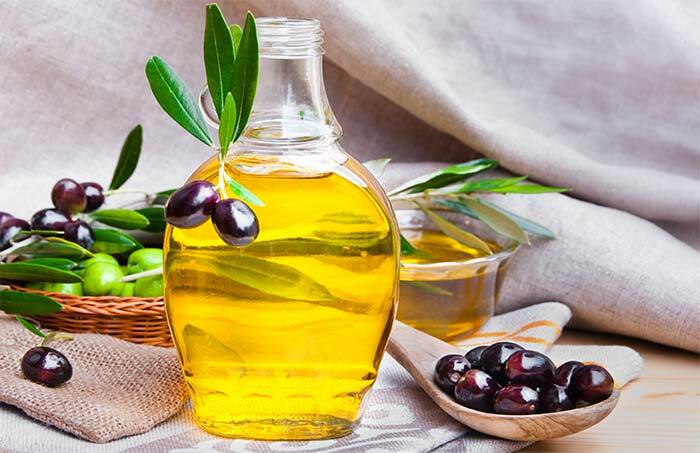 Two, olive oil is easily absorbed into the thick and scaly areas of the scalp that cause continuous dandruff issues. Due to this, the scaly areas fall away as one large piece instead of separate flakes. This helps put an end to dandruff as the affected spot can finally heal (26). Make sure you cover your head with a cotton wrap (to prevent your oily hair from attracting dust). Also, ensure the olive oil is just warm and not too hot. Massage the egg oil into your scalp and leave it on overnight. In the morning, shampoo as usual using a mild herbal shampoo. In the night before going to bed. Do this twice or thrice a week for about 12 weeks. Egg oil is rich in long-chain polyunsaturated omega-3 fatty acids that strengthen the hair follicles. The oil also contains cholesterol that can eliminate dandruff. Shampoo your hair only once. Repeated shampooing can wash out the natural hair lipids, making it dry and weak. 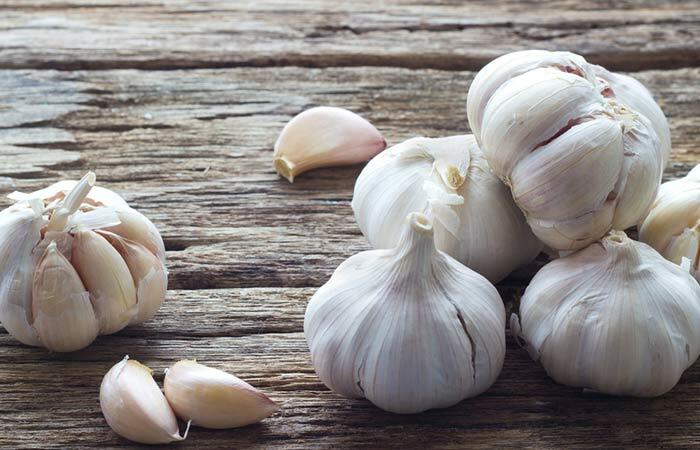 Garlic has excellent antifungal properties that can eliminate the microbes that cause dandruff (27). The abrasive nature of table salt plays a significant role in scrubbing off the dandruff flakes before you shampoo your hair. 1. Massage your scalp with the baby oil. 2. Cover your hair with a towel and leave it on overnight. 3. In the morning, wash your hair with a good anti-dandruff shampoo. In the night, before going to bed. Baby oil doesn’t contain fats that can be consumed by the fungi and hence, helps in the elimination of dandruff. Boil two cups of vinegar and let it cool. Mix one-eighth of it with a cup of water. Use this mixture to massage your scalp. You can also add one tablespoon of vinegar in the last mug of water while washing your hair. In the morning, before shampooing your hair. Vinegar is capable of killing scalp fungus and bacteria. It also helps in treating dry skin and reducing dandruff not caused by a fungus (28). 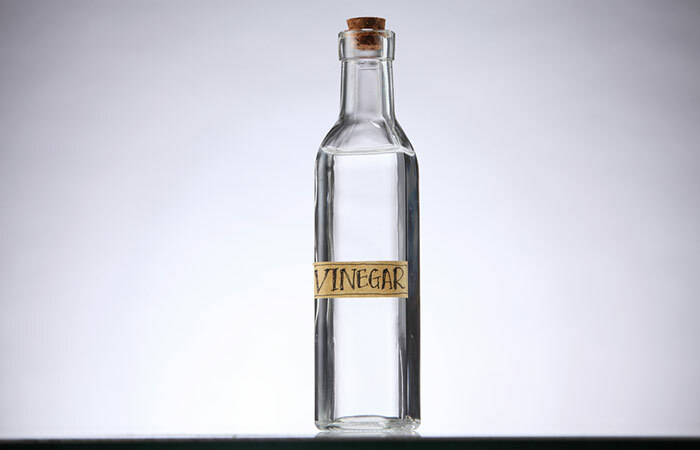 The acid content in vinegar reduces the itchiness of the scalp and drastically brings down flaking. Ensure the vinegar doesn’t get into your eyes as it is acidic and might irritate your eyes. 1. Mix one part lemon juice with five parts coconut oil. 2. Apply the mixture gently to your scalp and leave it on for about half an hour. 3. Wash using a mild shampoo. One cause of dandruff is the imbalance in the pH levels of the scalp. 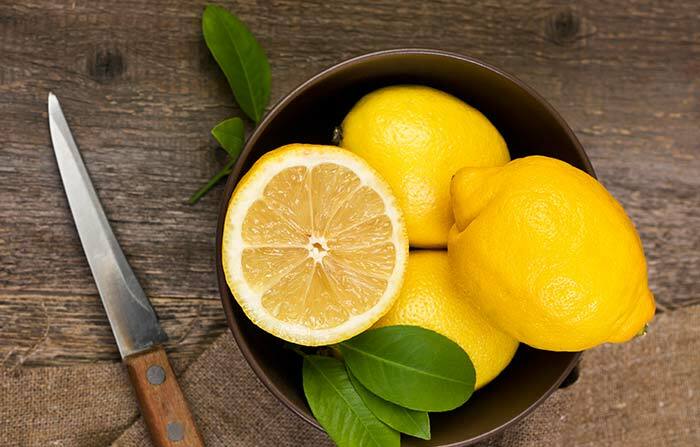 The acidity of lemon juice helps in balancing the pH levels of the scalp, thereby keeping dandruff at bay. Coconut oil contains conditioning agents and antibacterial properties, and these can make your hair stronger. If you have minor cuts or wounds on your scalp, refrain from trying this remedy. Lemon juice is acidic in nature and can aggravate them. Also, make it a point to use only fresh lemon juice. Bottled lemon juice can have artificial ingredients that might not give you the desired results (or cause harm). 1. Collect the aloe vera gel that is directly obtained from the plant and apply it on your scalp. 2. Leave it on for about 15 minutes, and then rinse using a mild shampoo. In the morning, while taking a bath. Do this regularly for best results. 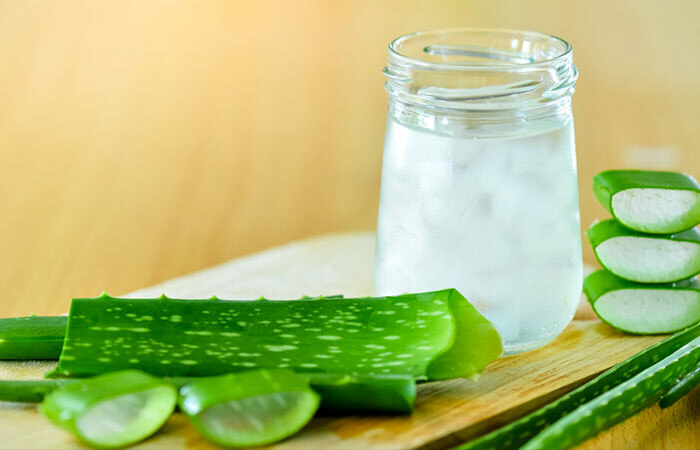 Aloe vera has natural antibacterial and fungicidal properties. It also has proteolytic enzyme characteristics, which means it can break down proteins, including dead skin cells. This quality of aloe vera makes it act as an exfoliant and removes the dead skin so that it doesn’t appear later as dandruff (29). 1. Add two tablespoons of apple juice to an equal amount of water and apply the mixture to your scalp. 2. Leave it on for about 15 minutes and then wash your scalp with a mild shampoo. Unripe apples contain procyanidin B-2, a natural compound that has been found to promote hair growth (30). 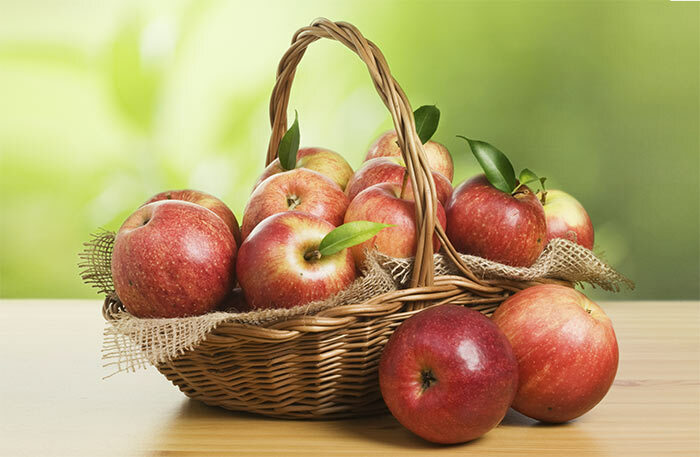 Since untreated dandruff ultimately leads to hair fall, apples do play a role in keeping your hair healthy. Ensure you don’t add too much of water to the apple juice. This can reduce the concentration of the juice, and you might not get the desired results. 1. Peel the ginger and grate it. Squeeze it in a cheesecloth to get the oil. 2. Mix the ginger oil and sesame oil. 3. Massage your scalp gently with the mixture. 4. Leave it on for some time, and then wash it with a mild shampoo. You can try this in the morning while taking a bath. 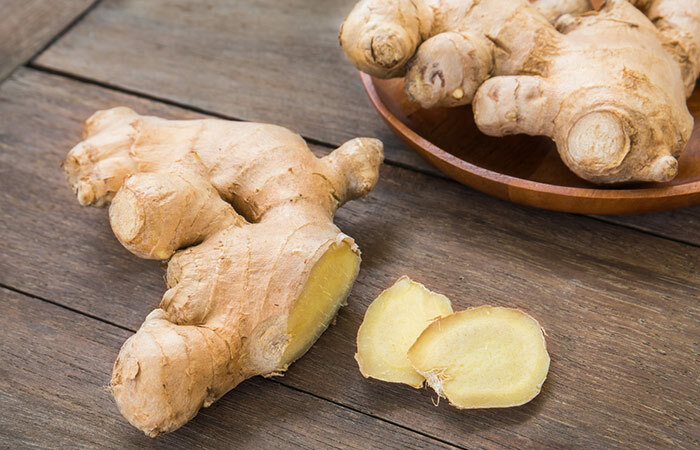 Ginger has anti-inflammatory properties and can also stimulate hair growth. The active components of ginger, like volatile oils, help prevent dandruff (31). 1. Mix all the ingredients in a cup till you get a paste. 2. Apply the paste thoroughly to the scalp and leave it on for a few minutes. 3. Wash with a mild shampoo. In the morning while taking a bath. The dried leaves of henna are extensively used in treating many hair conditions, including dandruff. 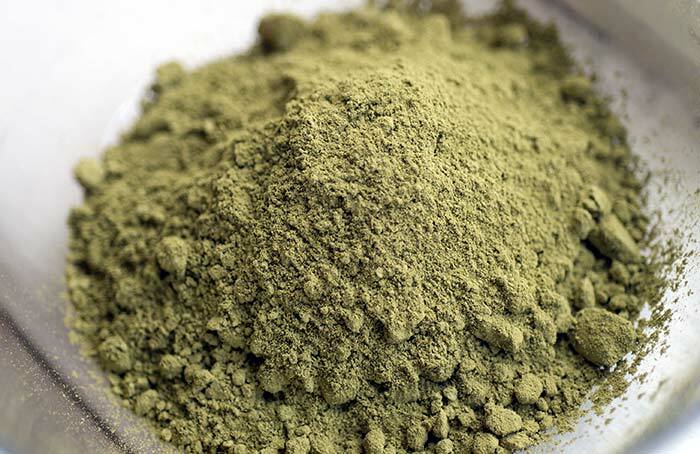 The active constituents of henna like tannic and gallic acids, lawsone, and mucilage play a major role in its dyeing effect (32). Henna has the ability to bind to the keratin in the hair, which creates a protective layer and relieves scalp irritation. It also reduces oiliness of the scalp and acts as a conditioner. This property of henna helps reduce dandruff (33). 1. Mix all the ingredients till you get a smooth paste. 2. Apply the paste meticulously to your scalp and leave it on for about 30 minutes. 3. Rinse your hair with fresh water. 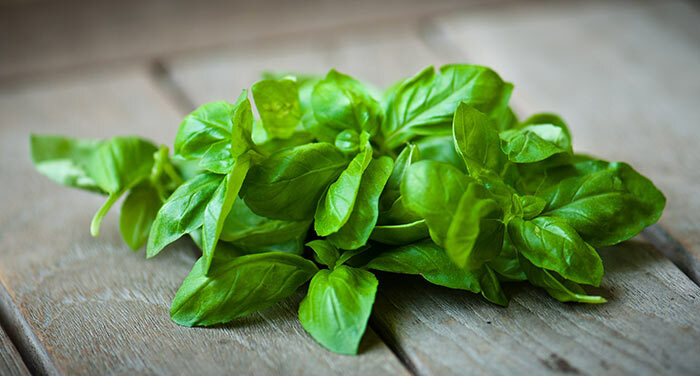 Basil leaves are one of the many natural ingredients that can cure dandruff. Known for their extensive antibacterial and antifungal properties, they help treat dandruff and also improve the strength of the scalp (34). 1. Lightly warm up the oil and apply it on your scalp and hair. 2. Massage your scalp for a couple of minutes so that the oil gets absorbed easily. 3. Leave it on overnight and rinse your hair as usual in the morning. 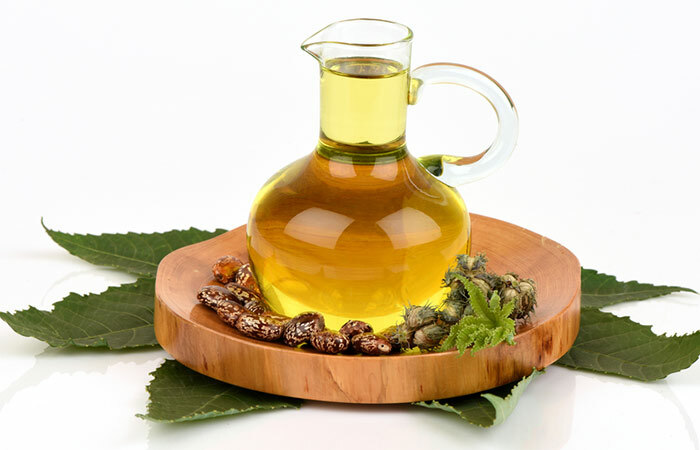 Ricinoleic acid and ricin present in castor oil possess antimicrobial properties that treat scalp infections such as dandruff and seborrheic dermatitis. Castor oil is also a humectant and keeps both the scalp and the hair moisturized (35, 36). You can get rid of dandruff and also get silky, shiny hair with this remedy. If you have a sensitive scalp, dilute castor oil with equal parts of coconut oil or olive oil before applying. 1. Pour the water and witch hazel liquid into the spray bottle. 2. Shake the bottle well and spritz this solution on your hair and scalp. 3. Massage your scalp with your fingertips for a minute or two. 4. Rinse and condition your hair as usual after 15 minutes. 5. For oily scalp, apply witch hazel with a cotton ball on your scalp along with the spray for better dandruff control. Any time of the day, before washing your hair. Witch hazel is an astringent and antibacterial agent. These properties help in bringing the dandruff fungus growth under control. It is also anti-inflammatory in nature and will help in relieving itching (37). 1. Take some oil in between your fingers and rub them together to warm it up. 2. Apply it to your scalp and massage for a few minutes. 3. Cover your hair with a shower cap for 20 minutes. 4. Rinse your hair as usual. Do this before taking a bath. 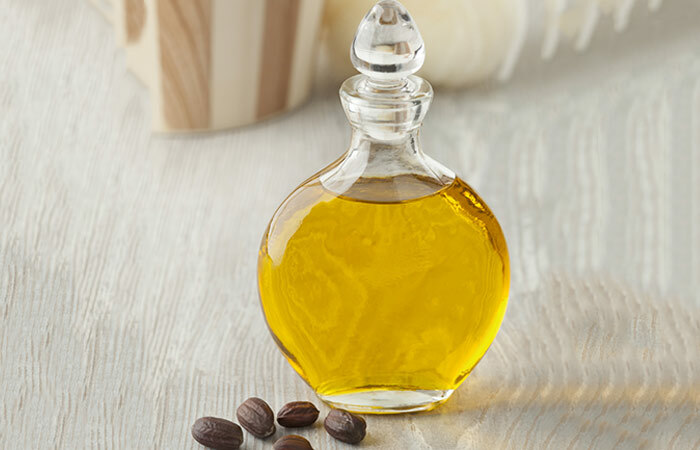 Jojoba oil contains vitamin E that nourishes the dry, flaky skin on your scalp and keeps it hydrated (38). It also promotes hair growth (39). 1. Mix the oils and apply the mixture to your scalp. 2. Rinse your hair after 20 minutes. In the morning or evening, before washing your hair. Neem contains a potent antimicrobial compound called nimonol that helps in treating dandruff (40). 2. Leave it on for about 30 minutes and then rinse. 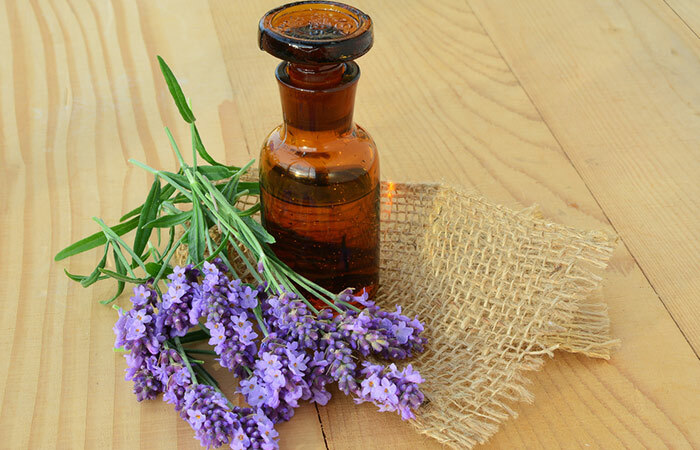 Lavender oil is antifungal in nature, and it also soothes and calms the skin (41). Do a patch test before using this essential oil for dandruff treatment. 1. Steep the green tea for about 20 minutes and let the decoction cool down. 2. Apply this on your scalp and leave it on for 30 minutes. Green tea catechins have antifungal properties. Its polyphenols are antioxidants that can help restore the health of your scalp (42). Have the capsules once in the morning and once at night. 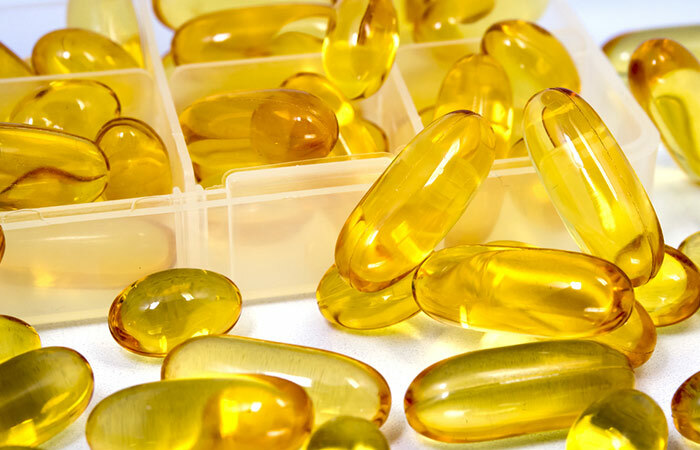 Fish oils supply the body with essential omega-3 fatty acids. These possess anti-inflammatory properties that help to heal a dry scalp and eliminate dandruff (43). 1. Add the rosemary essential oil to a carrier oil of your choice. You can use olive oil, almond oil or coconut oil. 2. Apply this mixture on the scalp and wrap a hot towel around your head and hair. 3. Let the towel come down to room temperature. Then, take it off and rinse your hair. Do this in the evening so that you can relax while indulging in the hot towel treatment. Rosemary oil is excellent for dry and flaky scalp and dandruff control. It enhances blood circulation to the scalp and also promotes hair growth (44). 1. For every tablespoon of shampoo, add 3-4 drops of oregano essential oil. 2. Rinse your hair and scalp with this. Do this while taking a bath. Repeat it every time you shampoo your hair until the dandruff goes away. 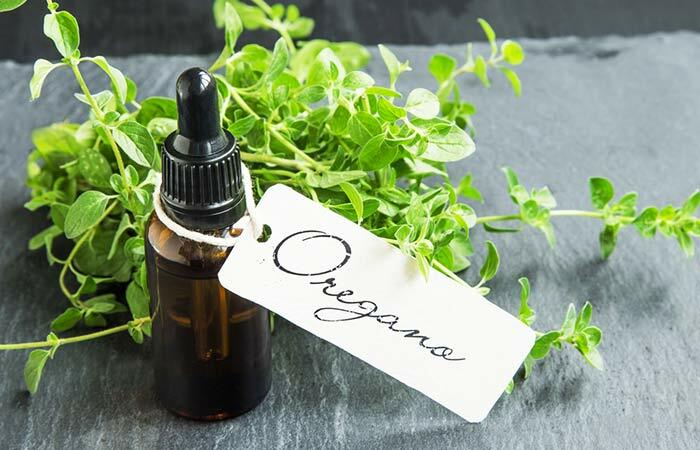 Being antifungal in nature, oregano oil will help in the elimination of the fungus that is causing dandruff (45). As already stated, dandruff is not an unsolvable problem. The simple and natural ingredients found in our homes are very effective in curing dandruff and stopping it from recurring. Some of the remedies might dry your hair. So, follow up with a good conditioner and make sure to keep the moisture locked in. Here are some more tips you should keep in mind when dealing with dandruff. Having a clean scalp and hair is important to prevent dandruff. There are many anti-dandruff shampoos that work wonders. It is best to choose something mild unless your case is severe. You need to prevent the accumulation of dead cells, and the best way to do this is to keep your hair and scalp immaculately clean. Brushing out an oily, dandruff-affected scalp before a hair wash can also help reduce dandruff. Lack of proper sleep and stress can increase the chances of dandruff. Ensure you always cover your hair while traveling. This will help reduce the risk of dandruff as your hair will not be exposed to the harsh, polluted environment. While swimming, make sure you oil your hair and wear a shower cap. This will help reduce the risk of chlorine in the water spoiling your hair. Do not expose your hair to the harsh sun rays, especially because the harmful UVA and UVB rays can dry the hair out. Make sure you use herbal products to remove dandruff as most products available in the market contain harmful parabens, sulfates, and silicones. Look out for ingredients such as ZPT and Pro-V Complex – these help reduce dandruff to a great extent. Never share your combs and hair brushes. Clean them regularly and keep them in a neat and tidy place. 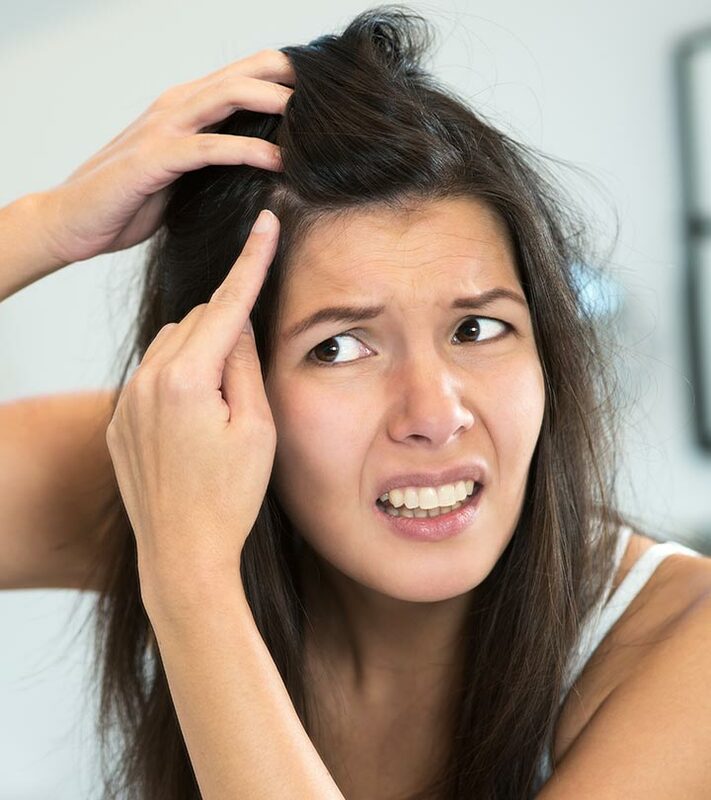 Unhygienic living conditions, hormonal imbalances, and a few other factors, such as sharing combs and lack of hair maintenance, can also cause dandruff. If you see the first symptoms of dandruff, use a dandruff relief shampoo and conditioner immediately. Switch over to different shampoos to see what suits you best. Also, if you generally use a hair dryer to dry your hair, ensure you do it on a low setting. Applying too much heat directly to your scalp can damage the hair roots. Below are some of the most common questions regarding dandruff. The dryness that accompanies dandruff makes your head itch, just like any other part of your body itches when it becomes dry. Is Dandruff A Symptom Of A Disease? Dandruff can occur just by itself or due to certain skin conditions like eczema, seborrheic dermatitis, and contact dermatitis. Yes! A few vitamins and minerals can help your body to maintain optimum scalp and skin health. Include vitamins A, B, and C, and zinc supplements in your daily diet to have a healthy, non-dry, and dandruff-free scalp. 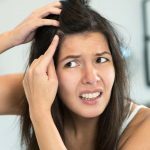 Diet For Dandruff: What To Eat And What To Avoid For Dandruff? You must drink lots of water to flush out the toxins from the body. Foods that are rich in vitamin B, zinc, and omega-3 fatty acids are great for preventing dandruff. Fresh fruits and vegetables are also a must. Eat protein-rich foods including eggs, pulses, and other supplements as recommended above. Junk foods such as burgers, pizzas, pasta, and fried items should be avoided. Consuming unhealthy drinks such as colas, soda, hard drinks, and soft drinks can lead to dandruff. Can You Get Dandruff From Stress? It has not been proved yet that stress can cause dandruff. However, when you are under stress, your immune system is weakened due to which it is not easy for the body to combat dandruff. What Does An Anti-Dandruff Shampoo Do? Different anti-dandruff shampoos work differently. Some aim to eliminate the excess dead cells building up on the scalp, while some kill the fungus that is causing dandruff. 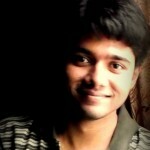 There are very few shampoos available in the market that work on both these factors and eliminate dandruff thoroughly. Also, the effect of many of these shampoos is not long-lasting. Does Dandruff Spread From One Person To Another? Is It Contagious? No, dandruff is not contagious. It does not spread from one person to another. Keep all the tips in mind and use the remedies to treat the root cause of dandruff. Kiss dandruff goodbye with these time-tested and effective home remedies. It’s time to bring all those dark colored outfits out from the back of your closet. We don’t think you would be worried about dandruff anymore, would you? Do share your experiences with us in the comments section below!